Electrical steel is a special type of steel used in the construction the cores of transformers and the stator of motors and generators. This steel is also known as silicon steel. It is an alloy of Iron with silicon. The silicon content can be upto 15% The silicon increases the resistivity of steel minimizing eddy currents and the resulting heat loss. Electrical steel also has a small hysteresis curve, reducing iron losses. Heat treatment is done which increases the grain size of the steel and reduces the hysterisis loss. In grain-oriented silicon steel, the orientation of the grain structure is made in a specific direction in order to increase the flux density and reduce the magnetic saturation. This type of steel is used in the construction of transformer core where the direction of the magnetic field is predictable and in a specific direction. The orientation of the grain structure ensures that all the molecules have poles are in the same direction. This reduces the hysteresis loss. This is usually more expensive. In motors and generators though, the magnetic circuit is more complex, hence non-oriented silicon steel may be used. In electric machines such as transformers, motors, etc., the steel is made in the form of thin sheets which are laminated on both sides. This is done in order to prevent eddy currents from circulating in the core. Electrical steel should be handled carefully. 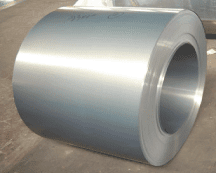 Wrong bending or rough handling can adversely affect the magnetic properties of the steel.